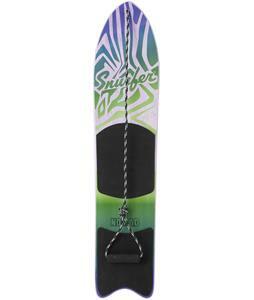 Snurfer is a fun and innovative brand of snowboard that allows the rider to feel as if they are surfing on snow. Originally designed in the 70's, this predecessor of the snowboard has been modernized to take fun in the snow to the next level. The unique design for the anti- skit foot rest and lanyard, welcomes a variety of skill sets and brings fun for the beginner or seasoned snow enthusiast. Hit the slopes or enjoy even a light dusting of snow with Snurfer.